Rowan woke startled from sleep. Her blood petrified. It was – the still small hours; it was – the rap on the door they had, deep down perhaps, been long expecting. ‘Who is it?’ Oliver repeated, with some courage. Oliver tentatively undid the catch, slowly turning the handle. The “castle gates” gave very easily. Almost as soon as he’d begun to open the door, a clutch of armoured policemen (possibly also policewomen) barged in. Oliver was pushed aside and slammed against the white plaster of the lobby’s cob wall. Rowan began to descend the stairs. ‘What is this, what’s going on?’ Rowan called. More police entered. Lights blazed outside the farm. A petite, armour-clad officer was motioned in Rowan’s direction. Sprightly this officer climbed the lower stairs. A truncheon shaft exploded from its handle and was thrust towards Rowan’s face. Though he couldn’t see, Oliver sensed what was happening. The policeman who held the truncheon at Oliver’s neck kept silent – Oliver could not see the man’s eyes through the dark tinted visor. Could only hear the shouting of the other officers as they barked orders through the baying pack. Rowan continued to protest but in subdued tones. ‘Are you arresting me?’ Oliver spat towards the alien shaped helmet. The alien did not reply. Oliver could only see his own dark reflection in the visor – the officer’s body was eyeless – not of this world. The tips of Oliver’s fingers tingled, and his hands shook – his tongue felt dry and he swallowed with difficulty. A few moments later Oliver witnessed his computer being carried past. Magazines, folders, office debris following. ‘Public Order,’ came the half reply. Yet part of him relished this vitriol he was receiving – if he had been younger – if he hadn’t had a wife and children…well then…Thank God Jenny was not at home. For her to see this. In their house. In their village far removed from it all. He had tried to keep her and Ben safe. But “they” had come to his house – sniffed him out. They were hunting down every dissident, it seemed. But Oliver also carried a smirk on his face – the kind of smirk teachers hate. And the officer would have liked to wipe it right off. The visor came down and Oliver’s sight was blocked – his tentative bravado evaporating. ‘Keys,’ a voice called. Somewhere else there was the noise of glass smashing. Rowan called out but it sounded to Oliver as if she had been physically shut up. The officer ignored him, taking the keys from another visor-clad accomplice. ‘What are these for? Come on,’ the blank-faced officer shouted. ‘Outside,’ the helmet shouted. The “alien” that had forced him back against the cold cob relaxed its pressure. Oliver sank down the wall glad that he was not being pinned by the truncheon. There were sounds of doors slamming and shouts from around the house. What had he actually done? What were they looking for? Perhaps they had nothing. Perhaps it was bluff and intimidation. The loose Green Alliance he was in contact with (still) – had they had trouble? There had been the recent raids on farms not so far away (but far enough) and those opposed to the Union. (Sometimes it was enough of a crime to breed a pig and slaughter it oneself – then feed it to friends or family.) Thoughts raced across Oliver’s mind. The officer had said something about what he wrote…was that it? And all the time he worried about Rowan but each time he called out he was quickly silenced. Thankfully the eyeless, cold, visor wearer did not force its truncheon against Oliver’s throat. There was no escape. There was no peace. 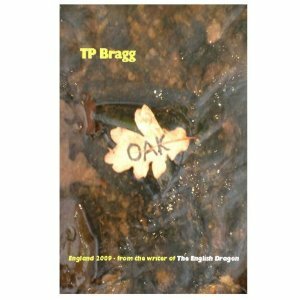 The mythographers were wiping out the national memory – it would only be a matter of time before England’s resistance collapsed (so he thought, pessimistically). Perhaps he was too dangerous as someone who witnessed. Recalled. Wrote things down. But that was all he was doing – wasn’t it? Perhaps society could and would not bear to support writers who wrote freely and against the system – against the state and the Union. But it was stories he wrote – fiction for Christ’s sake. Were they now entering an age of book burning? What kind of joke was this? ‘Have you a warrant?’ Oliver heard himself ask. It took all his courage to force out the question. The officer’s presence almost choked the words in his throat – almost kept them lodged in his brain. The question sounded limp and pathetic. The officer nodded. ‘Under the Public Order Act 2006, Section 23.’ It came as a lifeless drone. ‘What’s that?’ Oliver asked involuntarily. ‘Hide?’ Oliver said. Had he got something to hide? Were his Fables dangerous? Was he guilty – did he deserve what was happening? ‘You’ll find out.’ To the “alien” holding Oliver against the wall the officer said, ‘Let him go. We’ve got everything we need.’ The “alien” stood back a pace. Oliver crumpled forwards. At the same moment Rowan was escorted through from the kitchen. Oliver went towards her but he was stopped. Police officers came from various parts of the farm.